Want to start a local or regional French Bulldog club? Home Want to start a local or regional French Bulldog club? One object of the French Bulldog Club of America is to to encourage the organization of independent French Bulldog Specialty Clubs in areas where there are enough fanciers of the breed to meet the requirements of the American Kennel Club. 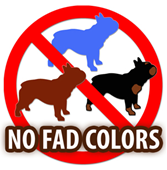 A local breed club is independent of the parent club, though it may join the FBDCA as a member club (see #7 below). 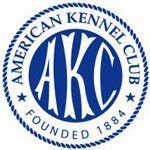 VISIT the AKC’s Club Information page. Theresa Wilson, and ask what help the FBDCA can provide. LOOK at the list of existing local and regional French bulldog clubs. experience at starting a club whom you could ask for help. KEEP the FBDCA informed of your progress in forming your club, and good luck! If your local club wishes to become a member club of the FBDCA, see Bylaws Article I Section 1(e), Section 2, and Section 3(b).